I am on a mission to find the beauty of the United States. 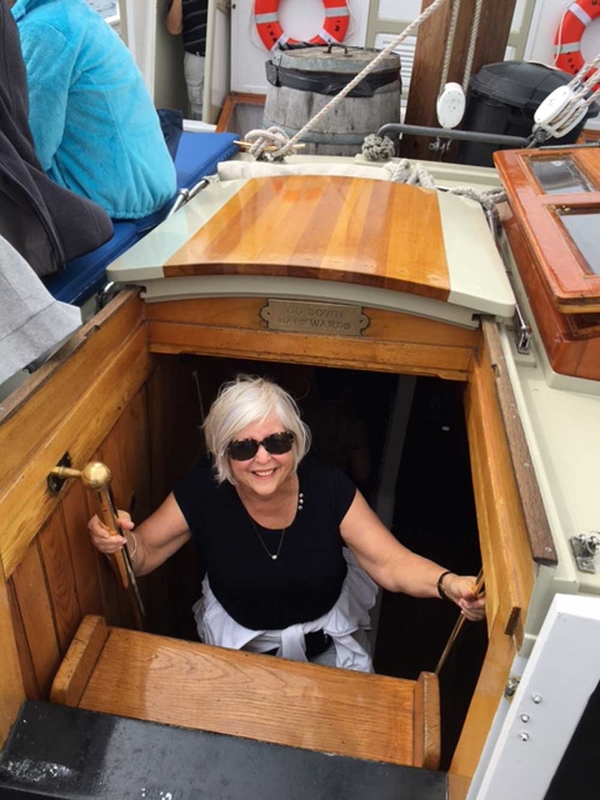 Recently, I joined the 8 day World Discovery tour, Michigan’s Lakes And Mackinac Island With Tauck. The “Great Lakes State” did not disappoint! Our tour began in beautiful Traverse City at the gorgeous Grand Traverse Resort and Spa, set amidst 900 acres of lush landscapes including a world class golf course. Traverse City is known for its cherry trees and we were surrounded by many of them. The next day, we drove to the Sleeping Bear Dunes National Lakeshore for great views of the shoreline. We got our exercise by walking up the dunes. 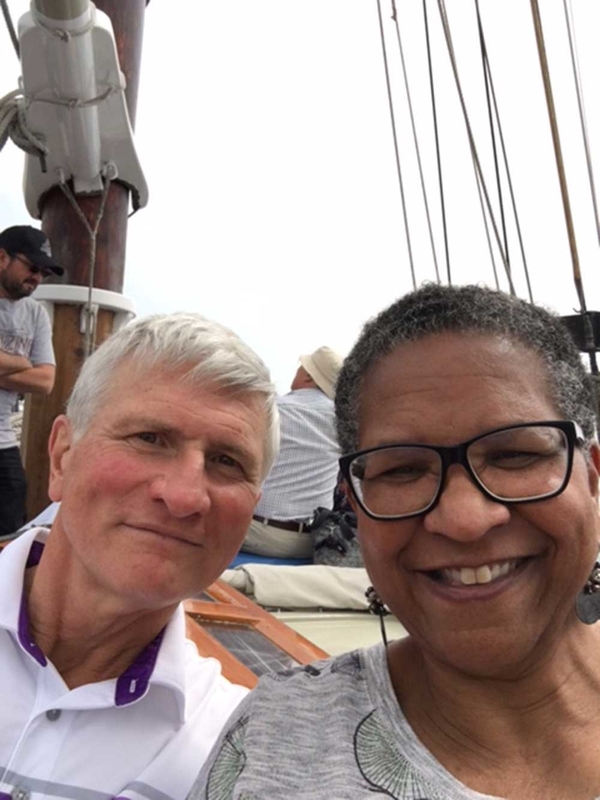 Later, we were treated to a private cruise in Grand Traverse Bay aboard the tall ship Manitou, a replica of an 1800s cargo schooner, similar to those that once sailed the Great Lakes. The crew put us to work raising the sails and steering the ship. Not bad for a bunch of amateur sailors. It was fun! The evening ended with a private dinner and wine pairing at the Chateau Chantal winery celebrating the bounty of the vine. Michigan has some fine wines indeed! Related: Travel In Complete Luxury To All 7 Continents With Tauck! The next morning, we visited Music House Museum which has a huge collection of antique musical instruments and music making machines. 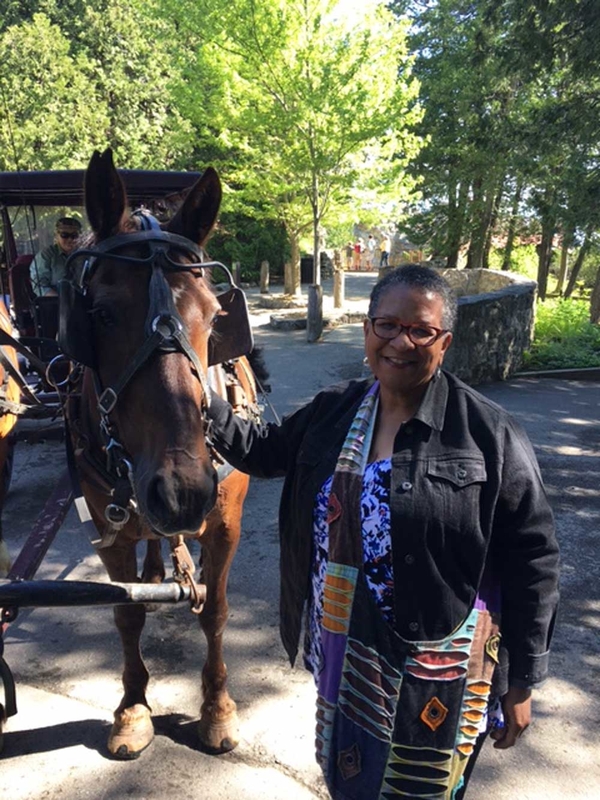 On our way to the beautiful Mackinac Island, we enjoyed a scenic drive along Lake Michigan to the Straits of Mackinac where we visited the little town of Petoskey. Lunch was served in a century old inn overlooking Little Traverse Bay. Later we took a ferry to Mackinac Island where a horse-drawn carriage took us to the iconic Grand Hotel where we stayed for two nights. Mackinac Island is beautiful and unspoiled. The island measures just two miles by three miles, largely unchanged in the three centuries since the first Europeans arrived. Travel on the island is exclusively by foot, bicycle or horse-drawn carriage. No motorized vehicles are allowed! We had a private tour of the island which included Fort Mackinac: the great fortress on a bluff which has guarded the island since 1780. A local historian shared the history of the Grand Hotel, which celebrated its 125th birthday. The hotel has a massive wrap around porch which allows you to sit out and enjoy the gorgeous view of the lake and the hotel gardens. Mackinac Island is famous for its fudge shops and we did lots of tasting as we perused the shops. My favorite was the milk chocolate with cherries. From Mackinaw Island, we journeyed to Midland, Michigan which is the home of Dow Chemical. There, we toured the home and architectural studio of Alden B. Dow, which is a National Historic Landmark. The home is woven into the surrounding environment and is a marvel to see. We stayed at the H Hotel, which is right in the center of the city and boasted arguably the best restaurants on the tour. 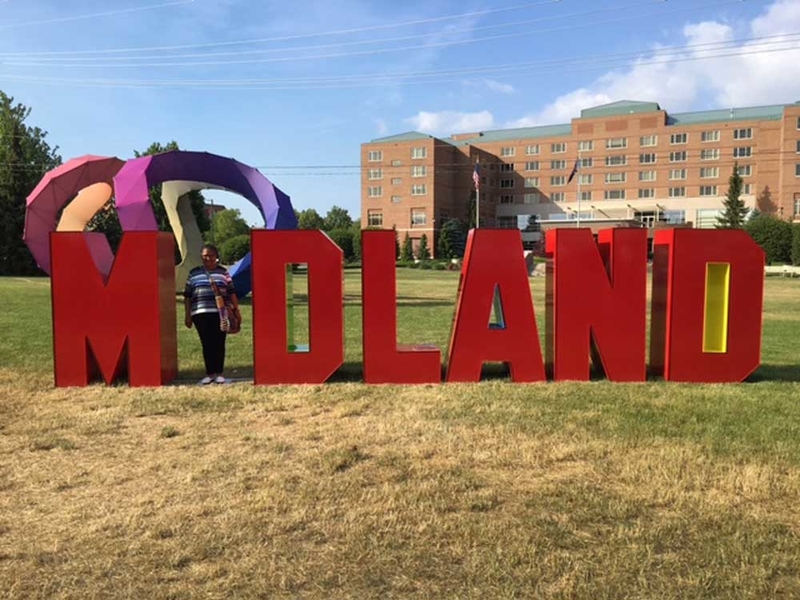 From Midland, we passed through Frankenmuth on our way to Detroit. Frankenmuth is a Bavarian-inspired village where we visited Bronner’s, the World’s Largest Christmas Store. They have Christmas decorations and ornaments to match every theme! Related: Enjoy World-Class Accommodations And Fine Dining Experiences When Traveling With Tauck! The last stop on our tour was Detroit, the “Motor City,” where we stayed at the historic Dearborn Inn which is on the grounds of the Ford Motor Company. There we visited the Henry Ford Museum which to me was the highlight of the week. The museum is dedicated to American innovation, and how lives have been changed and are still being changed by innovation. 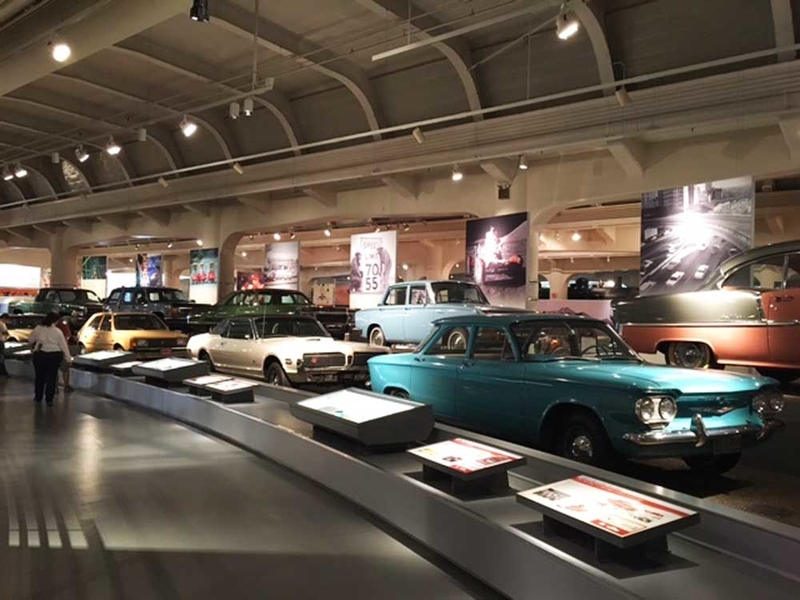 This museum houses the car in which John F. Kennedy was assassinated, and the bus where Rosa Parks made her historic stand that fueled the civil rights movement. We also toured the Ford Rouge Factory to see how the F-150 truck is assembled. I could have spent another 2 or 3 days in that awesome museum! We were also treated to an orientation tour of the city of Detroit, and there is a definite renaissance going on there. Some of the highlights included Tiger Stadium and the home of Motown Records. 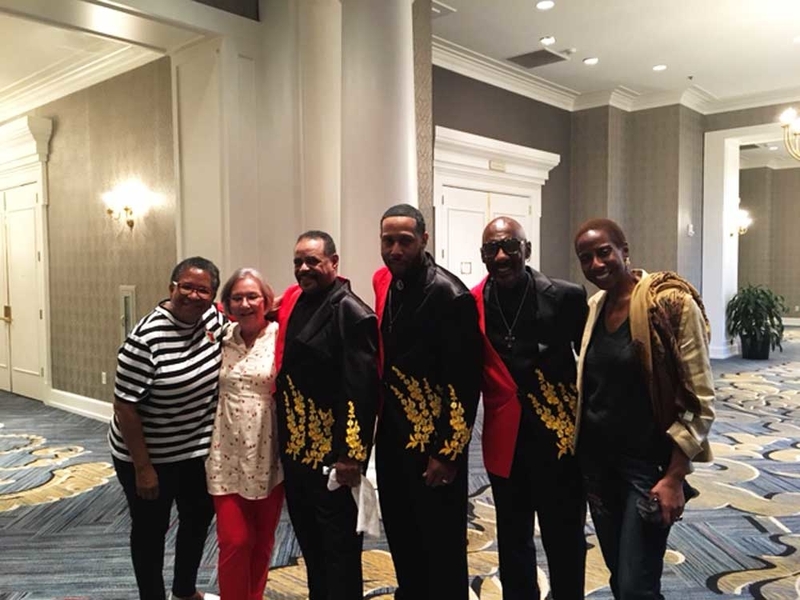 While in Detroit, Tauck treated us to a private concert by a Motown cover band and it was a blast! We even started an old school Soul Train line. As always, you can count on Tauck to do something really unique and special. I cannot wait to travel with them again! I recommend this trip to anybody who wants to see more of this amazing country and who enjoys history, good food, and Americana. Ready to travel with Tauck? Click or call AffordableTours.com at 1-800-935-2620 for exclusive savings! Don’t Make These Common Travel Mistakes!